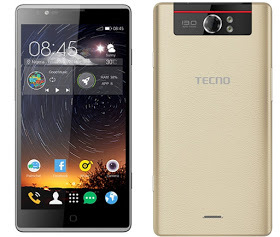 Home tecno Will You Rock This Sleeky ‘Tecno Camon C8' Device ? Will You Rock This Sleeky ‘Tecno Camon C8' Device ? As we await the official launching of Tecno Camon C5, here is Camon C8, another rumored camera device which seems to be better than the former. With a rear camera of 13mp and 5mp front camera, its a season of taking great and awesome selfies. The sleeky device also comes with a 3,000mah battery and a super HD touch screen. Equipped with Media Storage of about 1GB RAM and 16GB ROM, Tecno Camon C8 is also designed with a 5.5 inch screen for great display of pictures. Check Full Specification of The device below..